Debate over whether Norway should join the EU’s new energy union, and thus subject itself to EU market regulation, was reaching fever pitch this week. The issue has divided not only the Parliament but also the already-weakened Labour Party, as fears rise over the potential for much higher electricity rates that would hurt not only households but also business and industry. Electricity has long been one of the few things that’s cheaper in Norway than in many other countries, thanks to its vast reserves of hydro-electric power. Electricity rates in Norway are generally much lower than they are in various EU member nations, which now have a goal of meeting EU energy goals and delivering secure and sustainable energy at a reasonable price. That includes leveling out the differences among electricity rates through creation of an integrated European energy market overseen by the EU’s Slovenian-based Agency for the Cooperation of Energy Regulators (ACER). Norway, with its vast energy resources, has been urged to join ACER and it may be an offer the country can’t refuse, for fear of otherwise jeopardizing its agreement with the EU that grants Norway access to the EU’s inner market (known as the EØS/EEA agreement). Prime Minister Erna Solberg’s Conservatives and her coalition partners, the Progress Party and Liberals, have thus sent a proposal to Parliament to accept the EU’s offer and become part of the EU’s energy union. Norway’s anti-EU parties (Center, Socialist Left, Reds and Greens) all firmly oppose the proposal, though, claiming that Norway risks losing its sovereign rights to its own energy resources and claiming that electricity rates will shoot up, maybe even double. If the EU’s goal is to level out electricity rates in Europe, and Norway is at the low-end, it will surely see its rates rise so that those in countries where rates already are high can fall. “New power cables and teaming up with the EU’s energy bureau ACER will press Norwegian electricity rates up, closer to European rates,” claims Kathrine Kleveland, leader of Nei til EU (the anti-EU lobbying organization) that has seen its membership grow during this winter’s debate over ACER. Kleveland, also active in the Center Party, points out that Norway has already built cables to send its excess electricity to Sweden Denmark and the Netherlands, all of which are EU members. Similar cables to Germany and Great Britain are under construction. Kleveland insists the EU wants an integrated energy market with similar pricing. If more of Norway’s electricity is sent abroad, supply within Norway will fall and rates will thus rise. She also warns that Norwegian industry will also lose “the only competitive advantage they have” in a country known for its otherwise high costs. The centrist Christian Democrats have also indicated they’ll vote against joining the energy union and becoming part of ACER, leaving the Labour Party to decide the issue either by going along with its fellow left-center parties in opposition or siding with the conservative government coalition. Labour’s leaders, many of whom have long wanted to join the EU but been blocked by public votes against it, favour joining the EU’s energy union as long as Norway retains public ownership of the cables that can send electricity abroad. That’s prompted the government to court Labour, and they’ve been huddled in negotiations for months. Labour claims it’s close to striking a compromise with the government to ensure that the cables, which can play a huge role in electricity supply in Norway, will be owned and operated by Norway’s public sector, that is, the state agency Statnett that runs Norway’s power network. 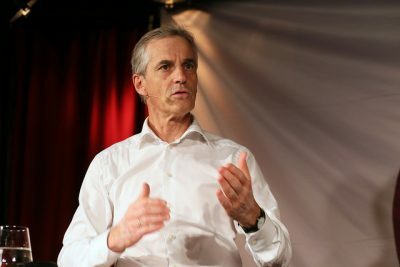 “We’re working hard to secure this, and at the same time continue to cooperate with Europe regarding trade in power and gas,” Labour leader Jonas Gahr Støre told a meeting of Labour’s important chapter in Oppland County during the weekend. He added that Norway also needs to cooperate with Europe on meeting climate goals by 2030. Newspaper Aftenposten reported Sunday on how Støre, however, has also had to work hard to fend off a grassroots uproar among Labour party members in Oppland and several other counties, where many oppose joining the EU’s energy union for all the reasons cited by Kleveland. 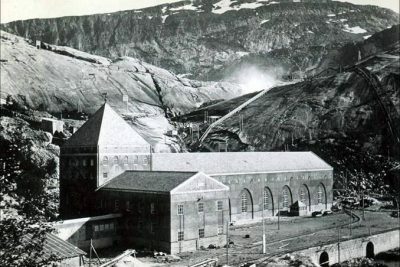 Several municipalities in Oppland, for example, generate electricity that they fear losing control over, while industry in places such as Raufoss need to keep electricity rates low and stable. They don’t want, or think Norway needs, more cables that can send electricity out of Norway and push rates up. 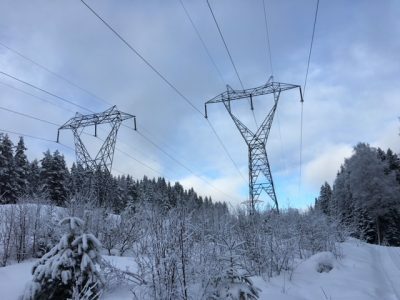 “We need more resources to instead upgrade the electricity network in Norway,” Jørun Båtstad of Sel, a community that generates electricity, told Aftenposten. He also fears that if Labour ignores the grassroots opposition to joining the EU’s energy union, it will lose more voters to the Center Party, after a fall and winter that’s already seen a huge dive in voter support after Labour lost last September’s election. For Støre, who was part of negotiating Norway’s market access agreement with the EU more than 20 years ago, it’s all been posing another crisis for his already troubled party. On a national basis, fully 108 of Labour’s 200 mayors around Norway oppose joining ACER. So do two of Norway’s largest trade union federations, Fagforbundet and Fellesforbundet. Støre appealed to his party colleagues in Oppland on Saturday to basically trust that neither he nor Espen Barth Eide, like himself a former Labour foreign minister who sits on the Parliament’s energy committee, would ever turn over Norway’s sovereign rights to its energy resources. Eide also argued strongly in favour of joining the EU’s energy union during a recent TV debate on the issue on state broadcaster NRK. Neither believe electricity rates will skyrocket if Norway retains control over the cables that control supply and demand. There’s another issue at stake as well: Norway has never exercised its veto rights in its EØS/EEA market deal with the EU, and doesn’t want to do so now. Government and, clearly, Labour officials fear what the consequences may be, and they could include restrictions on Norway’s gas exports to the EU. The EU could also react by punishing Norway in some other way for its lack of cooperation in the energy union. “If one partner (in the EOS/EEA agreement) goes out of the deal, the other can set other portions aside,” Støre told Aftenposten on Sunday. If Norway says “no” to joining the EU’s energy union, it would be tantamount to ending its energy cooperation. At the same time, he envisions “new Norwegian industry based on green power,” and noted that in some cases, Norway has actually imported power sources from Europe. Retaining state control over the cables “has grown into (Labour’s) central demand” in its negotiations with the government. It looked like Støre succeeded during the weekend in fending off the grass roots revolt, with Aftenposten reporting Monday that three out of five county chapters of Labour voted to go along with Støre’s appeal. Many including Oppland demanded, however, that Norway must retain national political control over Norway’s energy resources, that ownership of Norway’s hydro-electric operations must remain unchanged and that only Norway can decide whether new cables to send electricity out of the county will be built. The issue is due to come up for a vote at the Paliament’s energy and environment committee later this week. Time is running out, with several commentators predicting Labour and the government parties will come to terms and once again avoid upsetting the EU with a veto. Few want to put the entire EØS/EEA agreement at risk, and others argue there are more advantages to going along with the EU’s ACER than rejecting it. Business and employers’ organization NHO firmly supports joining ACER and doesn’t believe electricity rates in Norway will jump, because more open trading of power will expand the market and efficiency. Some economists also note that Europe is expanding its own power base, not least through renewable energy from wind and solar sources. While some newspapers editorialize against joining ACER, others are in favour. Norway’s largest trade union confederation, LO, is so split that its leadership has avoided taking a position, leaving it up to the various union federations. The anti-EU and anti-energy union Center Party has even argued that joining the union and its ACER would violate Norway’s constitution on the grounds it would relinquish sovereignty over national resources. State officials were assigned to investigate that issue, as negotiations continued.